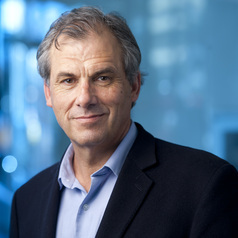 Rob Moodie is Professor of Public Health at the Malawi College of Medicine and Professor of Public Health at the Melbourne School of Population and Global Health. He was the inaugural Director of Country Support for UNAIDS in Geneva from 1995-1998 and the CEO of the Victorian Health Promotion Foundation (VicHealth) from 1998-2007. He chaired the Australian National Preventative Health Taskforce from 2008-2011 and is a member of the World Health Organization's Expert Panel on Health Promotion. He was a member of the Commission on AIDS in the Pacific, chaired the Technical Advisory Panel for the Gates Foundation's Avahan HIV prevention program in India. He now chairs Gavi's Evaluation Advisory Committee. He has co-edited/co-authored four books including "Promoting Mental Health", "Hands on Health Promotion" and his most recent "Recipes for a Good Life" with Gabriel Gate.